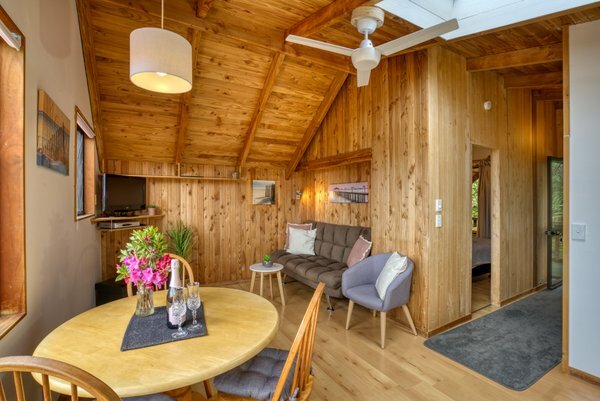 Tango is a charming self-contained one-bedroom apartment. 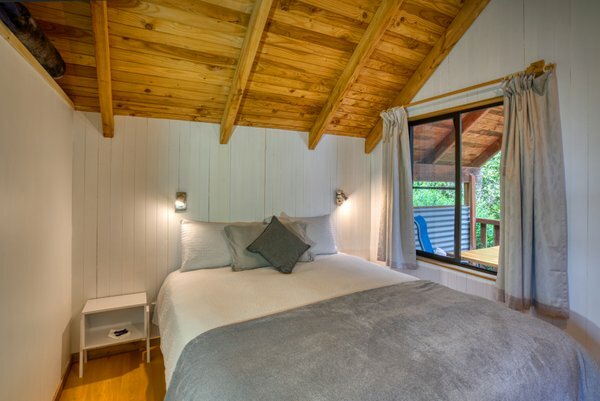 The Tango Apartment is a completely self-contained holiday apartment right here next to the Abel Tasman. It comfortably accommodates 2 - 3 people. It has a wonderful Swiss chalet type feel and is often a favorite among guests. Tango has an open plan living area with well-equipped kitchen, a dining table where you can soak in the gorgeous views while enjoying meals, and a comfortable living area with a great sofa, lounger and TV. The bedroom has a queen sized bed with quality mattress and bedding. The sofa in the living room can be transformed into a bed for an extra person. The bathroom has a toilet, shower and hand basin. There is a large, very private balcony overlooking the bush garden with an outdoor table and chairs - perfect for that al fresco meal or glass of Nelson wine. 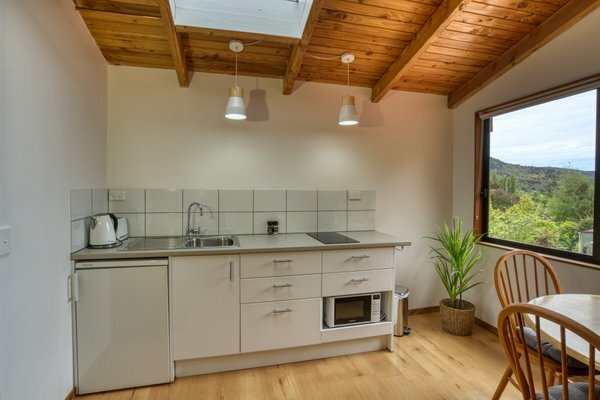 The apartment has stunning sea views from the kitchen, dining and living area and bush views from the bedroom and balcony. The Tango has accommodated up to 4 persons in the past. For larger groups please contact us and we will advise you what would work best for you. Prices include GST (New Zealand sales tax). Payment by New Zealand dollars, cash or cheque. Sorry we don't accept credit cards. 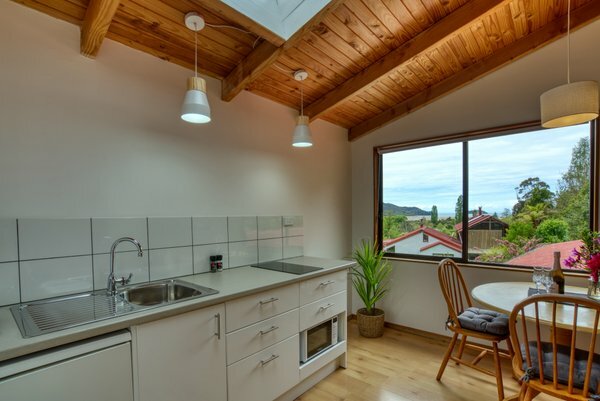 Stay in this well equipped apartment while you enjoy all that Marahau has to offer. Had the pleasure to stay in the Tango apartment in December 2015.